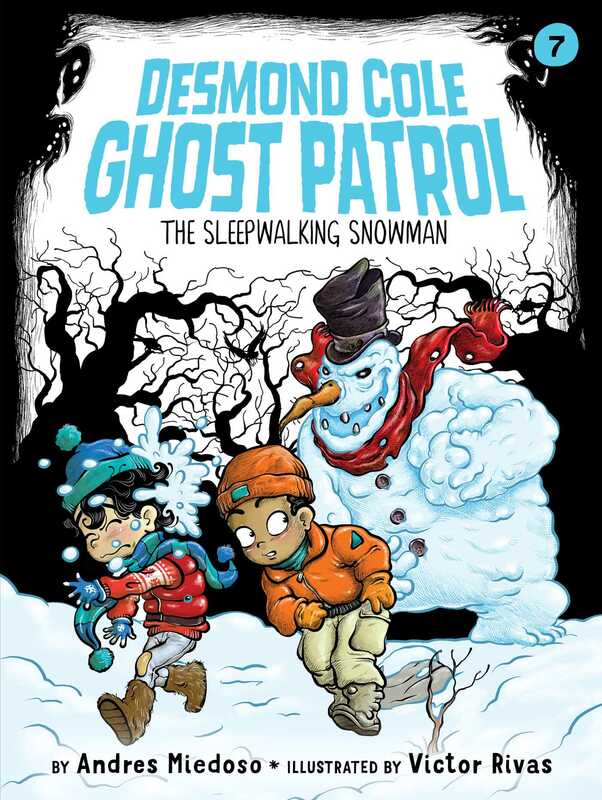 It’s Desmond and Andres versus a sneaky snowman in the seventh book of the Desmond Cole Ghost Patrol series! There’s snow in the air and a sneaky snowman on the loose! When one of the local kids builds the perfect snowman, it comes to life…and not in a Frosty, sing-song kind of way. Now it’s up to Desmond and Andres to chill this overgrown snowball out before the whole town gets frozen.